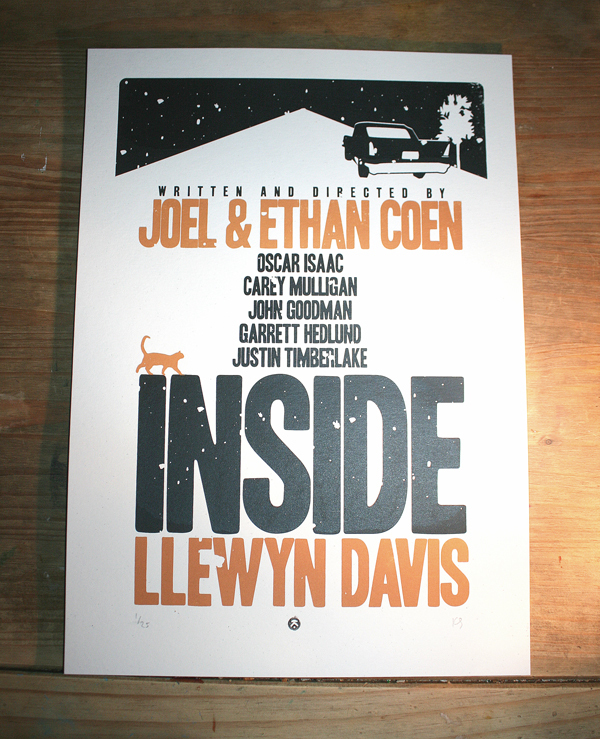 Limited edition screen printed alt poster for INSIDE LLEWYN DAVIS. Available here. Prize draw to win a print here.